For over 20 years, DZ Pump Service has been providing the Clovis, NM area with complete water well services. Our specialties include water well installation, service and repair. We work with both domestic and irrigation wells and offer emergency services 24 hours a day, 7 days a week. Call us today for a free estimate or to talk to one of our friendly, knowledgeable staff members. Your water well is one of the most important features of your property and something you rely on each and every day. It’s essential to make sure it’s properly repaired and maintained at all times. 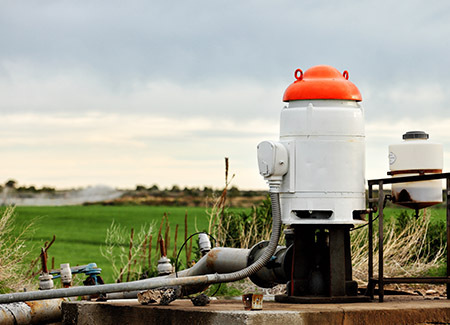 At DZ Pump Service, we offer a wide variety of well and pump services in Clovis, NM, such as well installation, service and repair. We also specialize in pump repair in Clovis, NM to ensure any worn out parts are replaced or repaired before additional issues arise. Our convenient location allows us to provide high quality solutions throughout the Texas and New Mexico areas. Dealing with a faulty pump? Upgrading to a newer, more efficient model? Our well pump installation in Clovis, NM involves same-day delivery and service done by one of our friendly and dependable staff members. We’ll walk you through your water well step by step, making sure you know how to utilize it at its peak performance. We also offer water testing services and inspections whenever you may need them. Do you tend livestock or own a large farm of crops? We offer solar water pumping systems and solar panels as an independent energy and green energy solution. Solar water pumps and solar panels operate anywhere the sun shines and are simple and reliable! Save the environment and cut down on your water costs by installing one of our solar water pumping systems. Our experienced staff is knowledgeable on all things involving water wells, so call us with confidence when you need reliable well service or solutions! Our business has more than 20 years of water well experience that sets us apart from our competition. Our dependable and knowledgeable staff is licensed in Texas and New Mexico. We take pride in our affiliation with the New Mexico Ground Water Association. Our experts are skilled in many different avenues including water well installation, service and repair. Contact our emergency service line at 575-799-1508. Our water pump experts are available to assist 24 hours a day, 7 days a week. Contact us at 575-799-1508. to talk to one of our water well experts about water well installation, service or repair. We look forward to providing you solutions for a satisfactory water well.